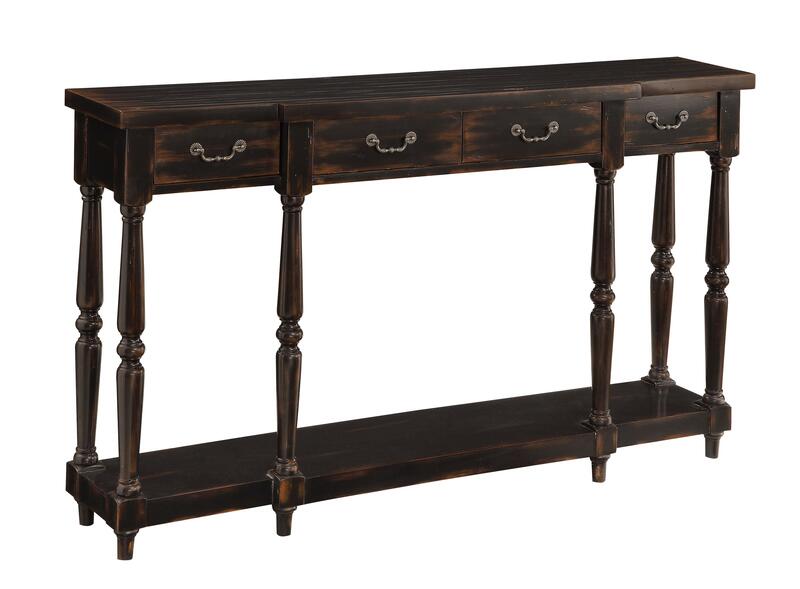 A slight breakfront design offers a contrast to delicately turned legs in this four drawer console. The rich Apperson Black Rub Through finish is textural and gives this piece a sense of history with its distressed details. Decorative drawer pulls and a lower shelf round out the details. The Accents by Andy Stein 4 Drawer Console Sofa Table by Coast to Coast Imports at Belpre Furniture in the Belpre and Parkersburg, Mid Ohio Valley area area. Product availability may vary. Contact us for the most current availability on this product.